Apple has removed the media picker from iOS 12’s Messages app. Thankfully, you are still able to access the photographs, videos, Slo-Mo clips, Portrait shots and other items stored in the Photos library on your iPhone or iPad—thanks to an all-new dedicated iMessage app. 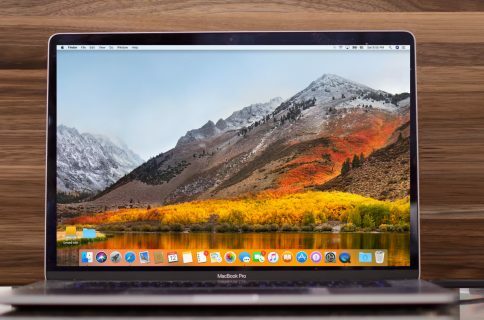 This is one of a slew of new features and enhancements in iOS 12, which released for public consumption in September 2018 as a free software update for all iPhones from iPhone 5s onward. 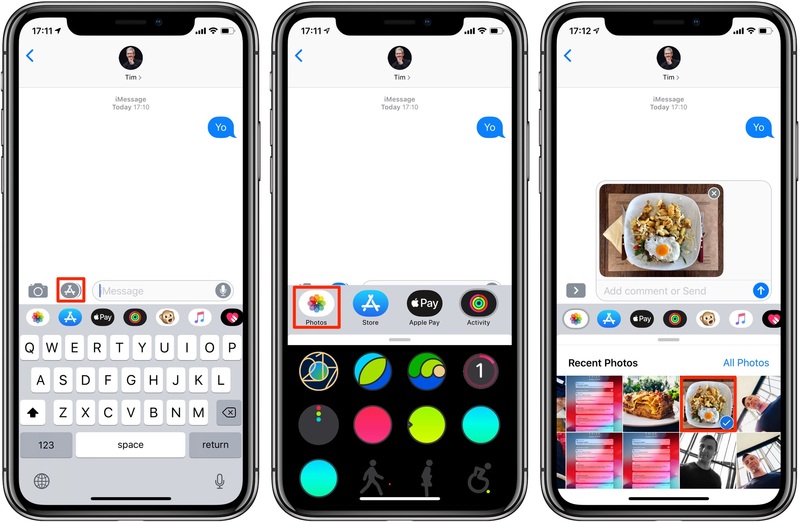 iOS 12 ditches the clunky Messages photo picker. 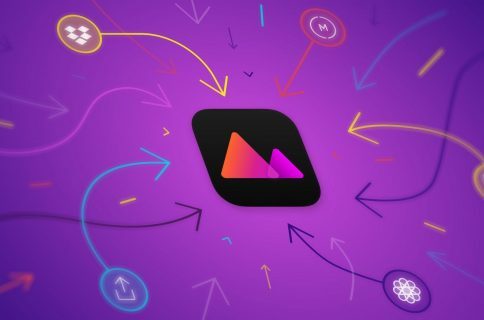 Attaching media is now handled by a dedicated Photos iMessage app. Use it to attach items from Photos to Messages threads. It supports Siri-powered sharing suggestions based on people and location. The extension sits in App Strip and cannot be removed. This is a major change from the previous implementation (that we first saw in iOS 10) where tapping the camera icon in Messages would bring up a panel with a tiny viewfinder and thumbnails of the recently saved items in the Photos library. 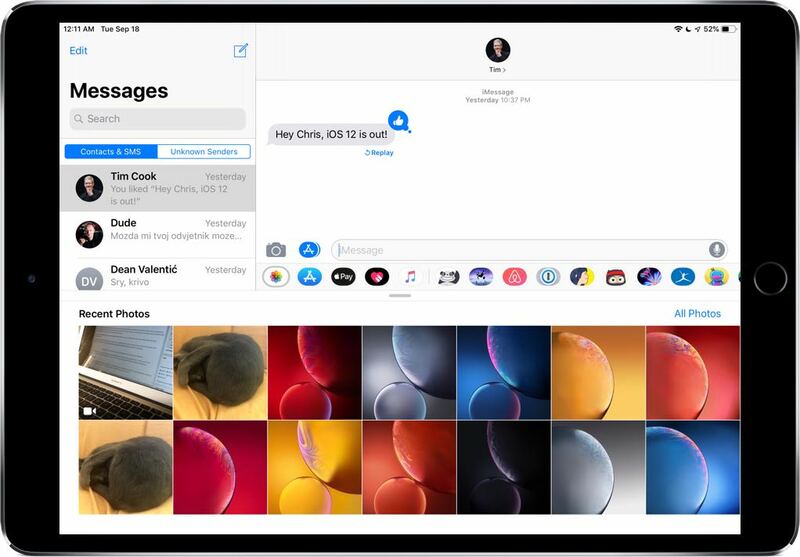 1) Open the Messages app on your iPhone or iPad with iOS 12+. 2) Tap an existing conversation or create a new chat. 3) If you see the arrow on the lefthand side of the text field, tap it. 4) Tap the App Store icon on the lefthand side of the text field to reveal your App Strip. If you don’t see the App Store icon, hit the arrow on the lefthand side of the text field to reveal it. 5) Swipe across the App Strip to find the Photos icon, then tap it. 6) Swipe left and right, then tap a thumbnail to attach the underlying item. You can choose multiple attachments, one by one. To send the attached media item(s), tap the blue Send button that has an upwardly-pointed arrow on it. To remove the attached item, tap the “x” in its upper-right corner. As a side-note, iOS 12 has changed how Messages handles images taken with the in-app camera. Now when you take an image with the Messages app, it’s automatically saved to the Photos library as soon as you attach it to a thread. We should mentioned that the old process of attaching media to your conversation threads involved fewer taps—after hitting the camera icon, you could take a new photo right away or browse your Photos library by swiping right to reveal a strip of thumbnails next to the tiny camera viewfinder. On the other hand, the new iMessage app brings previously unavailable features. The Photos extension includes these additional features. Recent Photos:Show the recently added media from your library. All Photos:Pick an album or browse your entire library. To attach an image or video you snapped up a while ago, tap All Photos in the extension’s top-right corner and swipe up to go fullscreen. Now you can select a media item from one of the built-in albums, like Selfies or Live Photos, or tap one of your own albums. 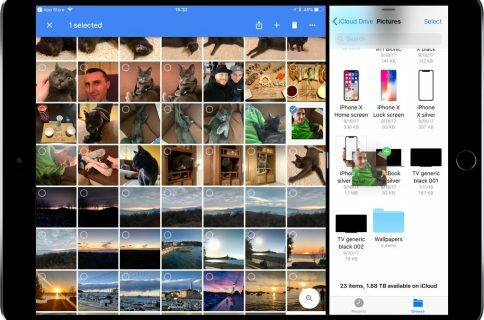 To browse the Photos library in its entirety, tap All Photos and select one or more items, then tap Choose to attach the media or Cancel to abort the operation. The new Photos iMessage extension also includes Siri-powered photo suggestions based on who you’re messaging with, what you’re talking about and where you’ve taken photos together. Personally, I like the new Photos iMessage app as it tidies up the cluttered Messages interface.